Publisher Angus & Robinson Limited, 1933. 2nd ed 8vo; pp. ix, 297; map endpapers; frontispiece; multiple b/w illustrations; original grey cloth, lettered in blue on front and spine. Many of these books are available at our Salamanca Market stall. TITO'S FLAWED LEGACY. YUGOSLAVIA AND THE WEST 1939- 1984. THE COPY IS EX LIB. The picture is of the actual book for sale, not a generic picture. ROYAL AUSTRALIAN NAVY 1939 -1942. OFFICIAL HISTORY. 1ST ED 1957. AUSTRALIA IN THE WAR OF 1939 - 1945. Jacket is now protected in removable sleeve. 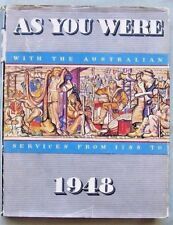 The Australian Services from 1788- 1947. As You Were 1947. JUNGLE DOCTOR ON SAFARI. HC/DJ pbl in 1943 by GEORGE M DASH. by PAUL WHITE. STRAWBERRY ACRES. by GRACE S RICHMOND. PAUL McGUIRE. A larger proportion of the book deals with history than with the then present situation. However, while he quotes and recounts the views of others, the views and opinions of the author tend to dominate. By Kate Darian-Smith -. Minimal, if any, discernible shelf wear, the interior is tight and spotlessly clean with 288 crisp pages illustrated in b & w.VERY VERYVERY COLLECTABLE COPY! ~ as there are lots & lots of old, RARE and COLLECTABLE BOOKS to be cleared from our bookshelves. The History of An Australian Schooner. 1903 - 1975. Robert Wohl. The Generation of 1914. THE PRONUNCIATION OF ENGLISH IN AUSTRALIA. by A G MITCHELL. HC/DJ 1st ed 1946. The Old Model School.1934. Australian Education History. The Old Model School. D/j has old tape marks and edgewear. OUR INTERESTS ARE MOSTLY WITH RARE LITERATURE. Hardcover with original d/j. SEE E-BAYS POLICIES FOR OTHER INFORMATION. CESARE BORGIA by Charles Yriarte. CESARE BORGIA by Charles Yriarte (Hardcover/Dust Jacket, 1947). Translated by William Stirling. Sarah's Preloved. Small sized hardcover with plastic wrapped dust jacket. First edition hardcover, with jacket, published in 1944. The book itself is in good condition for its age. BOOK SALES. Author : Willis J. Ballinger. Two were conquered when internal economic conditions had reduced them to a hollow shell. Five, however perished by the paradoxical process of “by vote of the people”. Full Title: By Vote of the People. THIS BOOK WAS FIRST PUBLISHED IN LONDON IN 1839, THIS IS A FIFTH PRINTING FROM 1945. Gino Watkins. Seventh edition 1946. by J M Scott. Written By - Mrs Aeneas Gunn. Format: Hard Cover (HC) with Dust Jacket (DJ). First published in 1908, this novel has been long regarded an a classic of Australian literature. Set in the Northern Territory of Australia, in a cattle station several hundred miles from the nearest town. J. Moodie Heddle. 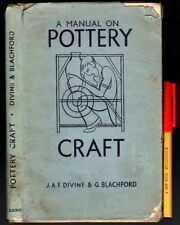 1st Edition 1949 H/B D/J. published by Longmans 1949. Seven in the Half Deck. Publisher: Trail's End, 1946. Format: Hardback with dust jacket FICTION INCLUDING 1st EDNS. First edition. Alternatively, we hope that you will find browsing through the many different categories enjoyable. 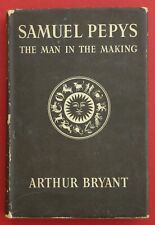 This title was first published in 1946, with this copy, printed in Great Britain being the hardcover edition first published by The Reprint Society London in 1947. Is complete with its dust jacket and frontispiece. This beautiful & hard-to-find book is The Life and Work of Luis Barragan. Luis Barragan (1902-1988) is an icon of contemporary architecture & a genius of light & colour, w ho has influenced a generation of current architects. A thousand sunrises /​ by Rita F. Snowden. London : The Epworth Press (E. C. Barton), . "First published in 1944.". 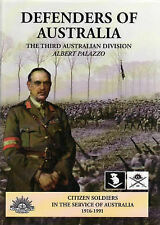 199 p.,  p. of plates : ill.
AUSTRALIAN BIOGRAPHY. 1ST ED 1990. Scan is of the actual book for sale. HC/DJ pbl in 1939 by ROUTLEDGE. Boards clean, binding solid, pages clean with slight darkening to foredge. It is the philosophy to which those who follow the accepted practice of science3 stand committed by their practice.". 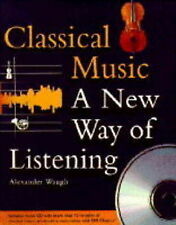 The primary object heear is to ascertain and discuss the present philosophy so defined, giving an exposition and a justification of the views to which recent theories lead, and, this having been done, to develop the outline of a general philosophical outlook which a scientist can accept without inconsistancy. John Lukacs. June 1941 Hitler and Stalin. Publisher Adelaide, 1946. 1st Edition. Small Quarto Size [approx 17.5cm x 24cm]. Very Good condition in decorated tan boards. Edges of dust jacket torn. Tipped in black and white plates and tipped in colour frontispiece. The dust jacket is chipped and a bit faded but the cloth cover and text block is very good. This 464 page Art Deco book is ideal for the Art Deco enthusiast or as a coffee table book. The book is from my brother's personal collection and is the hard back version with a protective plastic covering over the dust jacket. Very good condition. Clean and solidly bound. The dustjacket is chipped and marked but is still complete and in good condition. Publisher The Cresset Press. Reprint; 3rd impression Hardcovers. Pp.,xvi,92. Publishers orange cloth with gilt titles on black panels on spine and cover. Many of these books are available at our Salamanca Market stall. Collins, London, 1946. Hardcover in Dustwrapper. Small closed tear at top of spine. Since then, the most prestigious galleries across the world have devoted countless shows to his extraordinary work. The timing couldn't be better for this enjoyable and well-sourced book, which -- like Hockney's own work -- is both conversational and perceptive. By G J YORKE. 1ST ED 1936. CHINA CHANGES. Will be in good solid and tidy reading condition. As Painted by Percy FS Spence. and described by Frank Fox in 1910. This book is in very good condition. Hardcover with dust jacket, 220 pages, 155x200mm. No surrender and no retreat. It illuminates in myriad ways the toughness and the resilience of the soldiers as they battled the heat, the flies, the rats, the boredom and the savagery while doing their bit to win the war.